That's what I paid yesterday anyway, so nothing seems to have changed? The free Equestrian Props you'd get if you bought the pro bundle before the 4th wasn't actually free though - it added 62 cents to my cart. Still some bugs in the store calculations it seems. It is only 40% off. Looks like someone at DAZ is fooling customers with false offer. PS: As I see no "Diner" items was discounted. Why? Yes something is wrong with the discounts, they were working earlier on. I was getting 50% off the casuals dress having bought the santa thingie yesterday, now I no longer am. Although those items that you picked appeared during the pc sale. The diner and interior were pc crossover items and the tableware was the freebie, so that might be what is throwing off the discounts in your case. However, this has come up before so they should have fixed it by now. No, seems, none even tried scratch the back. To me, it is usual behaviour for recent DAZ stuff. But the need to determine what additional not listed conditions should be taken into account on a particular DAZ sale event makes me really hate the lack of bad words in English. It cannot express what I really think. It is really hard to pick up decent items among the amateurish trash sold at DAZ since they launched Genesis. No claims to Genesis but the rest is mostly rubbish. And such a mess in store calculations gives no positive points to store (and stuff) reputation. Discounts are working again for me, so maybe they were updating the store. No, those exact items are still not discounted. I've just checked. Like most DO sales promotions, "excludes free items, $1.99 items, and items newer than 60 days". The Diner stuff is inside the 60-day window. Which would be a lot easier to parse if items' release dates were included on the store pages. Or entire new subcategory like "DO fitting current sale". But I have not found out an easy way to find the matching snowball items. The texture sets are not listed in any of those two categories. Yesterday there was only Santa Baby showing but not the Santa Baby Textures to be found in new releases. The "Casual Short Dress" does not show up under new releases and a product preview of the fitting "Summer Casual Dress Textures" only appears on the side bar when the Casual Short Dress page is viewed. To make things worse if one actually enters "Summer Casual Dress Textures" in the search bar one will not find them because the actual product has the the word "Summer" not included. It´s just "Casual Dress Textures". 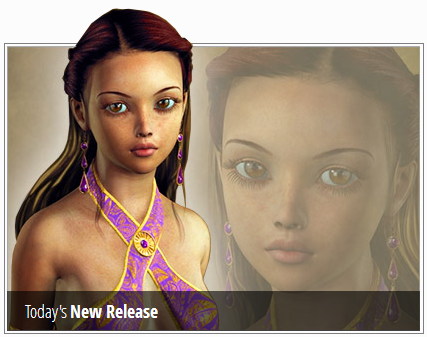 There is a huge banner advertising the the Textures on the Casual Short Dress page. Why not make that clickable so one can find the item in question faster? I can understand the the sales team likes to try out new ways to promote things. And it is truely amazing how there is one sale after the other. But aren´t things a little bit more complicated than they should be at the moment? 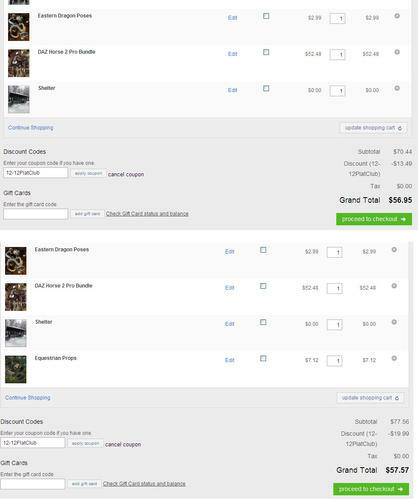 Would it not be the easiest way for the customer to just be able to check the New Releases to see whats new instead of searching around in different store tabs? Or am I missing the point here and the items in question are not new at all but just on sale? My guess is that we'll probably see stuff around midnight DAZ/Mountain time, 1AM Central, 2AM Eastern, 11pm Pacific, 3AM Atlantic, 7AM GMT. Judging from yesterday, anyway; the ones the day before that popped into the store around 9pm DAZ time, but I kind of think that was manually done, and yesterday was a scheduled job. No reason to think that, I guess; it's just that computery things that happen around midnight tend to be scheduled jobs in most places. Handy link for this: DAZ-time. Looks like today's Snowball Savings product is Satsuki for Genesis -- anybody know what the companion product is? And what hair is she wearing? No, Elleth (nice as it is) doesn't have the front locks twisted back like that. Yep, I'd say you're right -- thanks! So, is Satsuki for Genesis getting a companion DO product the way the rest of them have or not? Anybody know? I thought the companion files had been with the PA items - the DOs give you the discount on other DOs bought at the same time (though they have had texture sets, it's true - but you can't really do that with a character). Any other pc members only seeing a 30% discount on the dress? Yep, and I bought too early yesterday, so ended up gypping myself out of around $1 of discount, so I'm going to wait until this shows 51% like it apparently should. Not that $1 is much, but it frustrates me because it should have been right at first. So I'll wait until morning, or such, and see how things go. I don't like it, honestly, but I'm more interested in keeping the 50% discount going, and at least (unlike the eye-searingly ugly shoes) I could see using the retro dress in some render, with a suitable amount of shader love. I too am only buying to keep the 50% discount going. I'll wait until later to see if the 51% appears. "Summer Casual Party Dress Textures"
It looks still hip but it indeed feels somewhat retro now. I can understand the sales department wants to spice it up by giving products a cool name that fit the season. But does it really help the customer if he has to search around in his allready crowded runtime for the products he just purchased? Is anyone else hoping this sale culminates in an epic 24-48 hours of 50% off all DO and PA items? I would totally spend my Christmas cash on that - have lined up almost $1700 of stuff in my wishlist waiting for their next sale!